Across the county, Lancashire Music Service (LMS) is the largest provider of instrumental and vocal tuition. This is arranged through our teachers in your local school and at Music Centres. All LMS teachers are quality assured, DBS cleared (previously CRB) and undertake regular training. Whole Class Ensemble Tuition enables children to learn instruments in large groups with their classmates. It’s a fun and effective way for children to gain basic skills and experience what playing a musical instrument is all about. 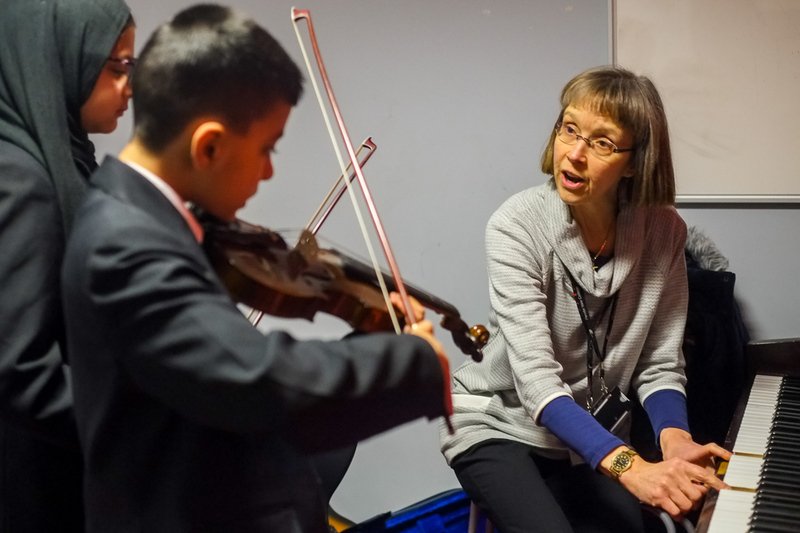 Find out more about whole class instrumental learning. Many schools offer instrumental and vocal lessons for individuals and groups. Find out more about instrumental and vocal tuition in schools. More Music provides tutors for lessons in ukulele, percussion and drumming – particularly in schools in the Morecambe area. Contact your daughter or son’s school directly to find out what they can offer. Alternatively, you can contact us for more information. 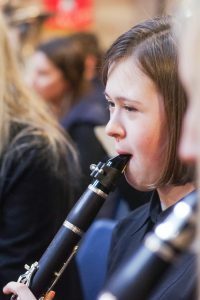 While learning an instrument or singing often has a cost involved, Lancashire Music Hub aims to keep musical opportunities as accessible as possible and be clear about what cost is involved. There are also many free opportunities available. Costs vary depending on the provider but the following information aims to give an example of costs based on Lancashire Music Service. Whole Class Ensemble Tuition and many school projects and workshops are free of charge to parents. Nearly all schools pass some or all of the cost of small group or one to one instrumental and vocal tuition to parents. An example rate for this is £6.50 per pupil for a group lesson (based on Lancashire Music Service).